Over 500 judges working in small teams judged 12,366 food and drink products this year at 62 judging days, from March through to early July to determine the 2017 Great Taste Award Winners. Oakpark were yet again highly successful, receiving an amazing 4 awards! 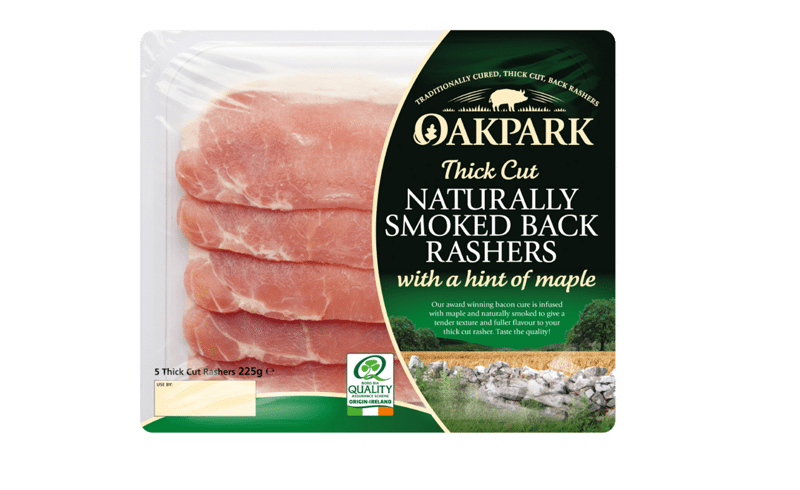 Our winners included the new Oakpark Thick Cut Naturally Smoked Rashers with a hint of Maple which judges described as “A lovely thickness of rasher with a nice level of fat. The rashers are moist and meaty. We really like that they are moist but not fatty in mouth feel. We like the level of salting and the bacon has a gentle flavour. Smoke is gentle but nicely balanced”. 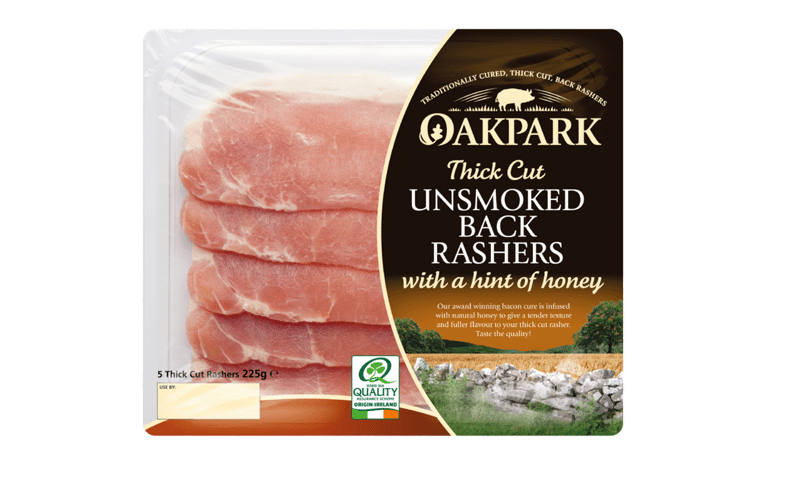 Our second Gold award came for another product new to the Oakpark range, our Thick Cut Unsmoked Rashers with a hint of Honey. One judge explained it to be “beautifully caramelised”, while another lamented it was “pleasing to taste and gentle to the palate”. Both of the above new thick cut rashers are available in your local Dunnes Stores, Supervalu, Centra, Spar, Eurospar, Londis and Costcutter. Ask in store for details. Our third and fourth Great Taste awards were for products we produce exclusively for Lidl and Morrisons. Our Glensallagh Honeycure rasher won gold for Lidl Ireland while our Morrisons branded Smoked Eye Loin Joint wrapped in Streaky Bacon also scooped gold for the UK retailer at the prestigious awards.